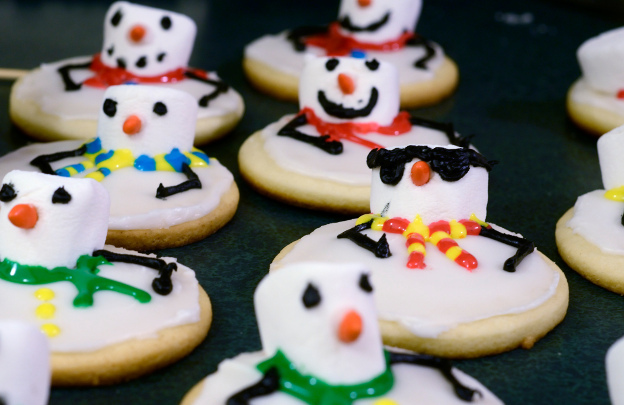 A17 made melted snowman cookies for the bake sale at school this week. 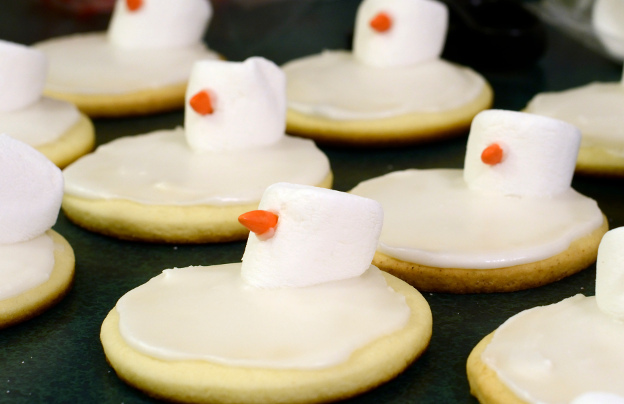 She used a sugar cookie recipe, sliced marshmallows for heads, candy covered sunflower seeds for noses and various colours of icing. They all sold. Not suprising. 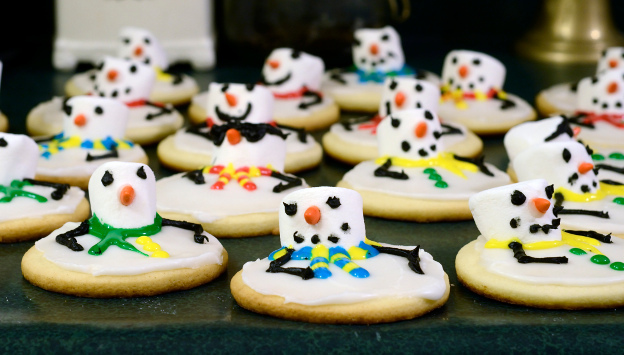 This entry was posted in Christmas, Family, Food and tagged food, winter on December 18, 2013 by Heather.